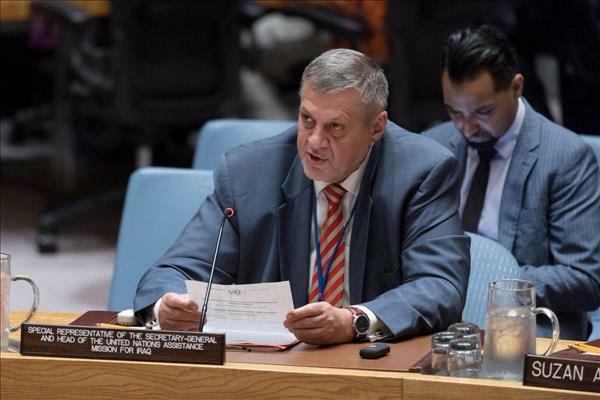 (MENAFN - Trend News Agency) UN Secretary-General Antonio Guterres on Wednesday announced the appointment of Jan Kubis of Slovakia as his special coordinator for Lebanon, Xinhua reports according to the UN press office. Kubis succeeds Acting Special Coordinator Pernille Dahler Kardel of Denmark, to whom Guterres is grateful for her dedication and leadership of the office, the statement said. Kubis, who served as special representative and head of the UN Assistance Mission in Iraq (UNAMI) from 2015 to 2018, brings with him many years of experience in diplomacy, foreign security policy, and international economic relations, both internationally and in his own country. He served as special representative and head of the UN Assistance Mission in Afghanistan (UNAMA) from 2011 to 2015, the executive secretary of the UN Economic Commission for Europe from 2009 to 2011, as minister for foreign affairs of Slovakia from 2006 to 2009, as chairman of the Committee of Ministers of the Council of Europe from 2007 to 2008, and as secretary-general of the Organization for Security and Co-operation in Europe (OSCE) from 1999 to 2005. Kubis is a graduate in international economic relations of the Moscow State Institute of International Affairs and speaks Slovak, Czech, English, Russian and basic French. Born in 1952, he is married and has one daughter.